Catalogue >Workplace Equipment >Soldering and Welding Equipment >Solders >Solders - wires >Solder wires - lead free >ECO1 B2.1 1,5MM 500GR. 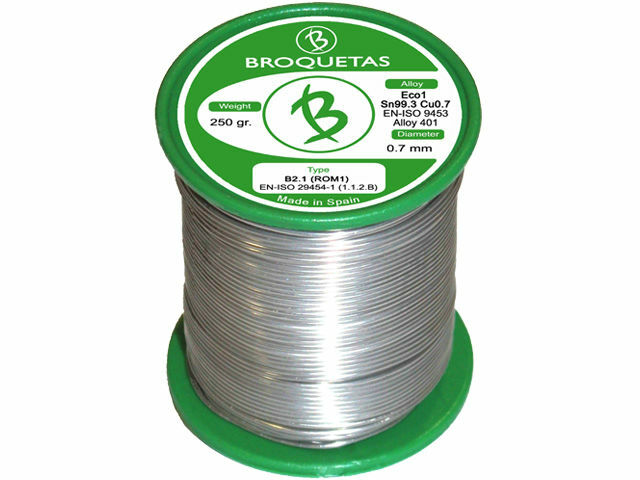 BROQUETAS ECO1 B2.1 1,5MM 500GR. Manufacturer part number: ECO1 B2.1 1,5MM 500GR.